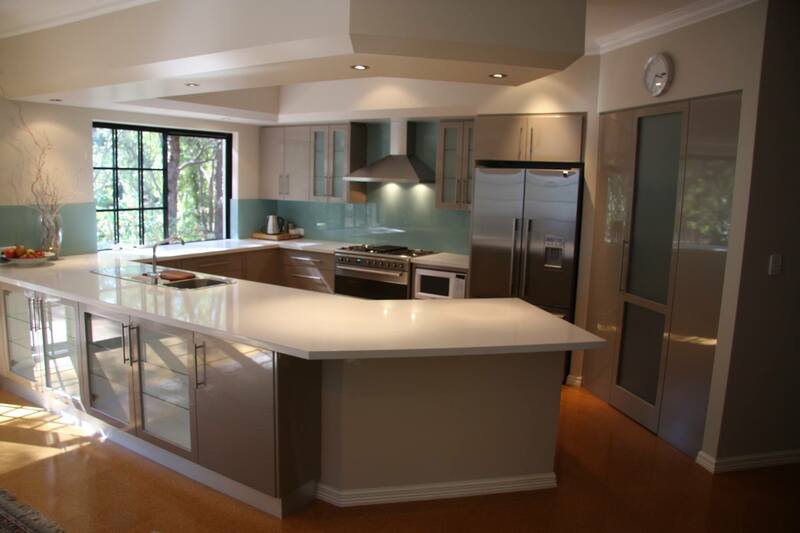 Loads of storage space in this Kalamunda kitchen makes it a delight to work in. A glass door walk in pantry is a practical feature and display cabinets facing the dining area add a touch of glamour. Doors are vinyl wrap in “Bouari Gold” and the bench top is Caesarstone “Osprey”. The glass splash back in “Gum Leaf” adds a sophisticated touch of colour reflecting the surrounding bush land.